For many people, volunteering is about supporting a cause that is important to them. But did you know that it is also an efficient job-hunting strategy? Volunteering is actually a great opportunity to become familiar with your area of interest, to take the pulse of the environmental sector, as well as to meet the leaders of your industry and community. You’ll gain a wealth of new experiences that will help you stand out from the competition. Volunteering is a valuable asset for new graduates and young professionals, especially those who pursue it in conjunction with an active job search. 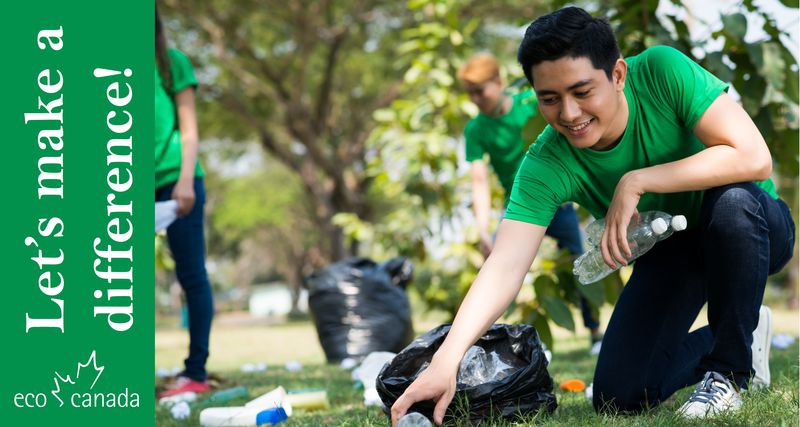 Read on to discover the key benefits of this activity, which will get you noticed by employers and boost your environmental career. Maybe you just graduated, redirected your career or moved to a new region; whatever your situation, you’re looking for a job. You’re interested in the environmental sector, but you aren’t too sure yet how to get onboard. The best thing you can do is to get in touch with the businesses and organizations that make up this sector and offer them your services… as a volunteer. By getting involved, you’ll become familiar with this field of work and enter the labour force, while getting your name out there. In a manner of speaking, volunteering is a kind of perpetual interview. It enables you not only to highlight your skills and abilities, but also to test the waters and find out whether a given employer or sector is the right fit for you. You’ll have a chance to take part in the operations of a company or an organization and to peek behind the scenes to find out what’s really happening there. Through experimentation, you’ll narrow down your career goals and target the employers or fields that really pique your interest. You’ll also try your hand at various tasks in different environments to figure out your preferences. Business Insider, with some data provided by LinkedIn, published an enlightening statistic in 2016: between 70% and 85% of open positions are filled through networking. For employers, hiring a new employee represents a huge investment. They are thus more likely to offer a job to a contact, or to a candidate who was referred to them by a contact, rather than to a stranger. Because volunteering puts you in touch with new people, it is an excellent way to build your professional network while you are looking for work. By being active in your field, you’ll establish a reputation with employers in the industry. Since they will have seen you at work, you’ll improve your chances of landing an offer once a position opens up. You’ll still feel the benefits of volunteering on your network if you’re already employed. Through your involvement with various organizations, you’ll interact with even more professionals in your sector. Beyond the new encounters and sharing of ideas implied in this dynamic, you’ll keep up to date with the latest developments in the sector and you’ll help showcase your employer’s activities. Also, all of these contacts will prove useful if you ever find yourself looking for work again in the future, since you’ll be able to rely on a number of people to support you in your efforts. If you’re job hunting, or even if you already have a job, volunteering is an opportunity to add strings to your bow. You’ll broaden your experience, which in turn will improve your professional skills. You’ll tackle a variety of tasks you may not have had a chance to handle yet on your career path. This will give you a new outlook on the environmental sector and open your mind to new concepts. Ideally, get involved with a business or an organization whose operations match your career aspirations and your areas of interest. In doing so, you will acquire transferable skills that will drive your career forward. These new experiences will also have a positive impact on your confidence, since you’ll feel competent and qualified for work. During interviews, mention any volunteering you have done and describe the hard and soft skills you have gained through this work. Volunteering looks good on a resume. Not only does it get your name out there, it also highlights your willingness to learn, participate actively in your field and improve your professional skills. These character traits are particularly valued in the private sector, since they show your energy, commitment and resourcefulness; these are all qualities that can enhance a company’s growth. Altruism is definitely worth a job-seeker’s while, but why stop once you do land that sought-after position? Anyone with a job can also enjoy the above-mentioned benefits. That is why ECO Canada offers volunteering opportunities to environmental professionals who are interested in joining a vibrant community to contribute to the protection of the environment and the preservation of natural resources.